I realised it's been a while since I've put a cute dog on my blog. I saw this perky little chappie yesterday, donning his best neckerchief and looking very proud of himself as he trotted along the street. 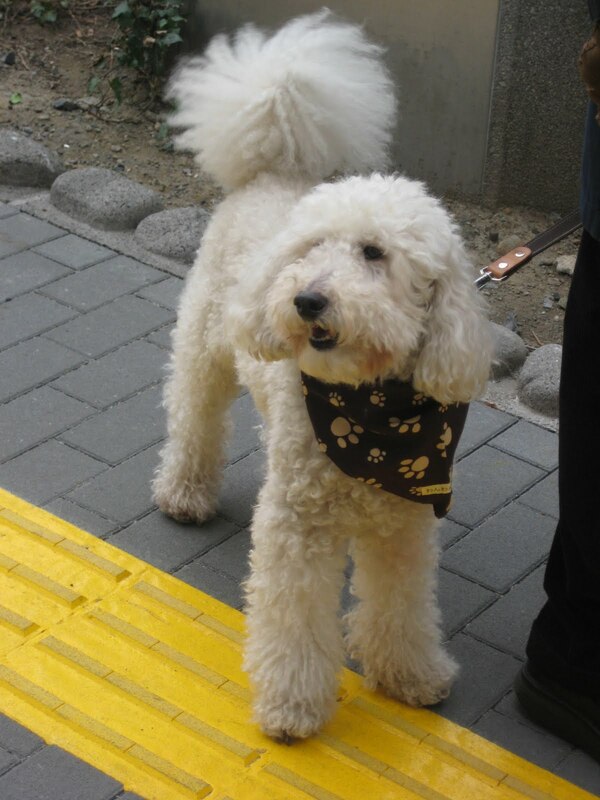 He was out with his owners who were collecting rubbish along the Meguro river. 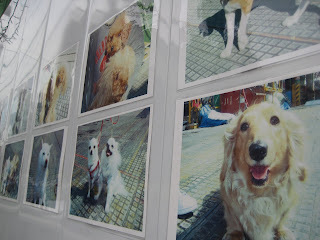 You often see locals happily volunteering to go out and collect rubbish to help keep their local areas clean. We also passed a building site that is surrounded by wood cladding to cordon off the area. 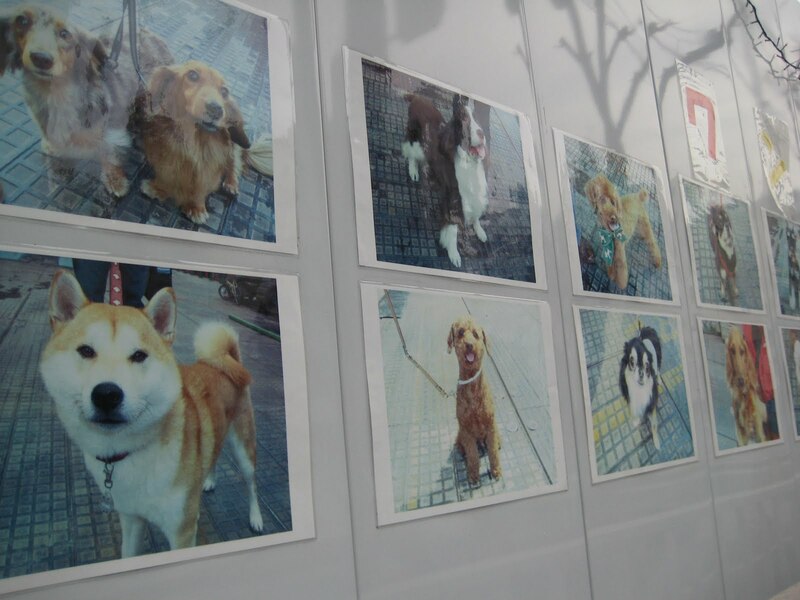 To decorate the cladding, they have added photos of some of the local dog community to liven it up - only in Japan!